Recommendation: Order one size above your shoe size if wearing with stockingfoot waders. i.e. If you're a size 9, order a size 10. 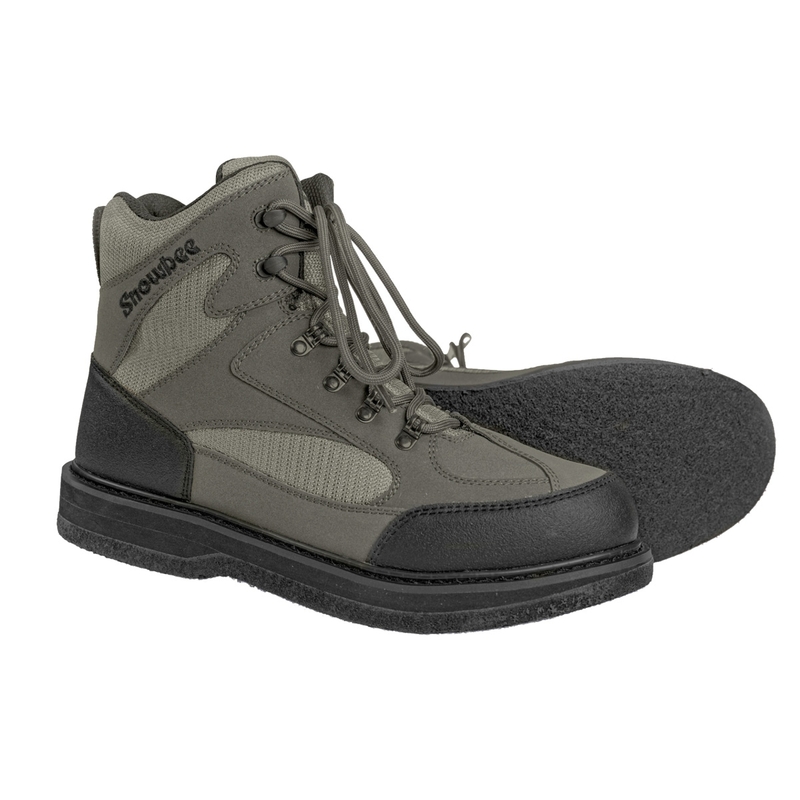 Snowbee River-Trek Wading Boots - Felt Sole. River-Trek Wading Boots, offer superb performance, coupled with great value for money. Manufactured from tough 280g polyester mesh fabric upper, with hard-wearing synthetic Nubuck panels for additional strength and support. Reinforced PVC heel and toe-caps provide added protection. An extra thick EVA foam mid-sole gives added comfort on rough terrain, whilst the corrosion-resistant, plated copper lacing eyelets, with nylon, quick-lacing hooks at the top allow quick and easy lacing of the boots. Two side drain holes have plated copper mesh eyelets, allowing water out, but not allowing sand and grit in! Available in two sole options - a high-grip rubber sole, ready to take studs if required, or a thick, full felt-sole, also able to take screw-in studs for extra grip. Ultra-light, practical and greater flexibility.